Barley grass powder is made from the dried young leaves of the barley plant. 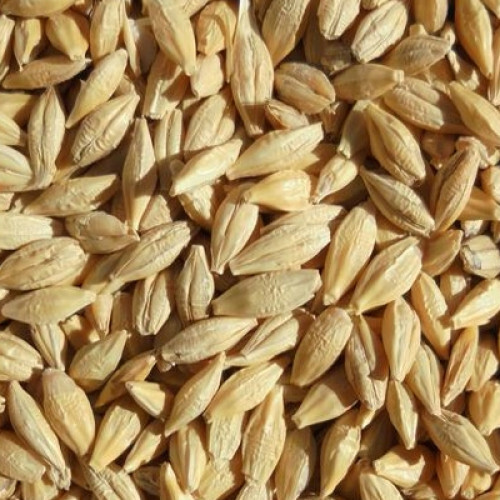 It is believed that the cultivation of barley's young leaves first took place as early as 7000 BC. At the early stage of its growth, the barley plant is closer in composition to vegetables than grains, hence the name barley grass. This concept is similar to that of wheat grass . There is said to be very little difference between the nutritional contents of barley grass and wheat grass. As they grow, the nutrient content of young cereal grasses change rapidly. The nutrient concentration - vitamins, minerals, enzymes, amino acids, chlorophyll - deteriorate significantly. In its young state, however, barley grass contains extremely high levels of the abovementioned nutrients. Barley grass powder thus contains very dense nutritional and healing properties in a concentrated form that is easily assimilated by our digestive system. There are no known toxic effects to consuming barley grass. As with all herbs and foods, for the best effect, it is desirable to use barley grass powder which is made from organic barley grass.